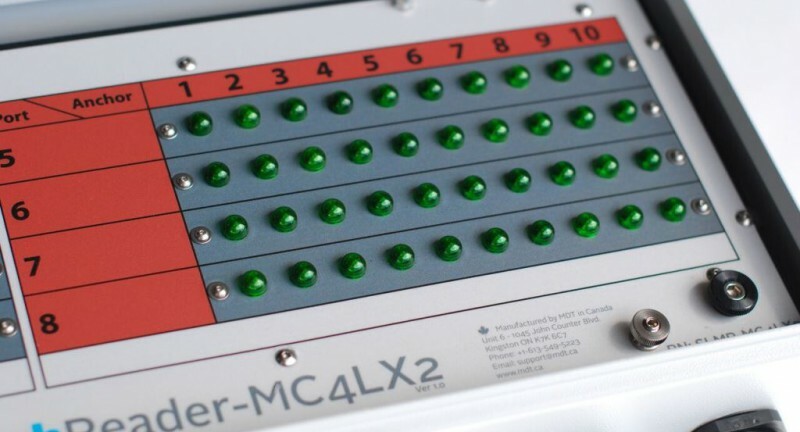 The SloughReader MC4LX2 V1.0 is a custom designed product based on a client request to read multiple sloughmeters in one location (up to 8 simultaneously). The indicators are always illuminated which indicate that no sloughing has occurred, as the lights go out then you know you’ve lost an anchor. 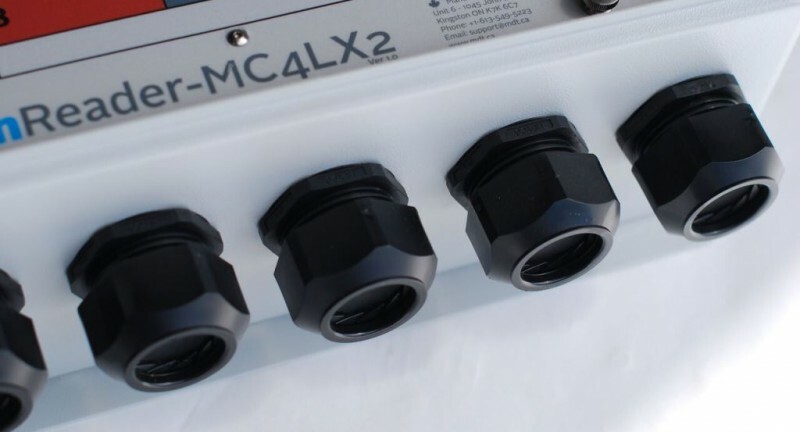 If you have any area that requires multiple sloughmeters to be monitored easily by a passing vehicle, the SloughReader MC4LX2 is the best choice. Internal workings are encapsulated and suspended in such a manner as to improve survivability in the event of a blast or other accidental damage. 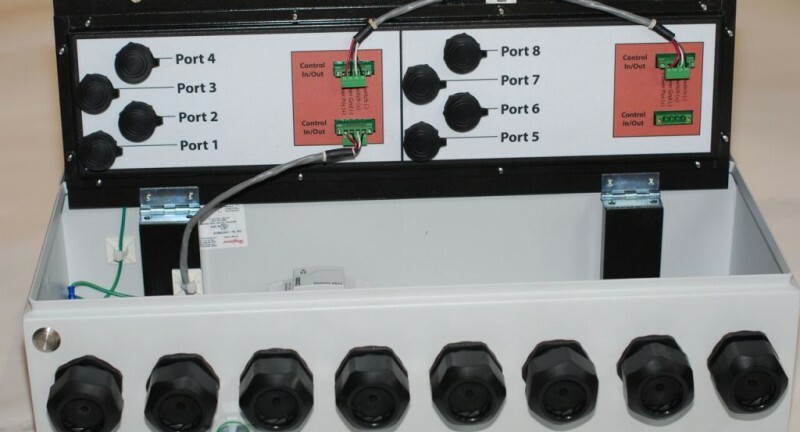 The unit is equipped with a momentary pushbutton, located on the bottom left of the enclosure, to verify the operation of the lights. 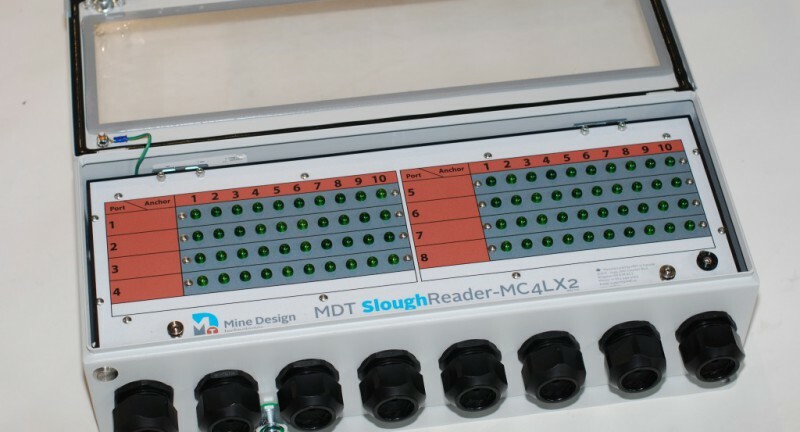 No need for connecting manual SloughReader to each instrument – visualize all at once!